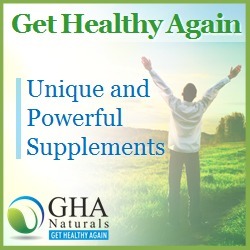 説明: Get Healthy Again supplies unique and powerful nutritional supplements to help people get healthy again from many illnesses. They feature a line of frequency enhanced water based elixirs that are capable of telling the body to take specific actions. For example, Optimal C Elixir tells the body to make the enzyme needed to produce vitamin C. Genetically, humans have not been able to produce vitamin C as most mammals do because the gene that turns production of this enzyme is missing . Optimal C Elixir, by telling the body to produce this enzyme, enables the body to produce its own vitamin C in the same high amounts that other mammals do. A remarkable breakthrough in human health and longevity. Our products are featured on health websites like CancerFightingStrategies.com Health-Reports.com and Candida-Yeast-Infection-Relief.com They work so well doctors & health professional recommend them. They are top-grade products designed to work, not to meet a certain price point.